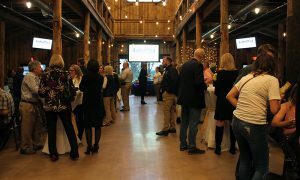 Locally Owned Murfreesboro and Smyrna Independent Merchants Association honored 16 locally owned, independent businesses at the inaugural Light Up Local Firefly Awards on Tuesday, April 24 at The Grove. Light Up Local was an exciting evening of local food, music and the presentation of the Firefly Awards. The Firefly Awards, emceed by WKRN’s Larry Flowers, is a people’s choice awards celebration. “The Firefly Awards is a people’s choice awards celebration of independently owned businesses in Murfreesboro and Smyrna. 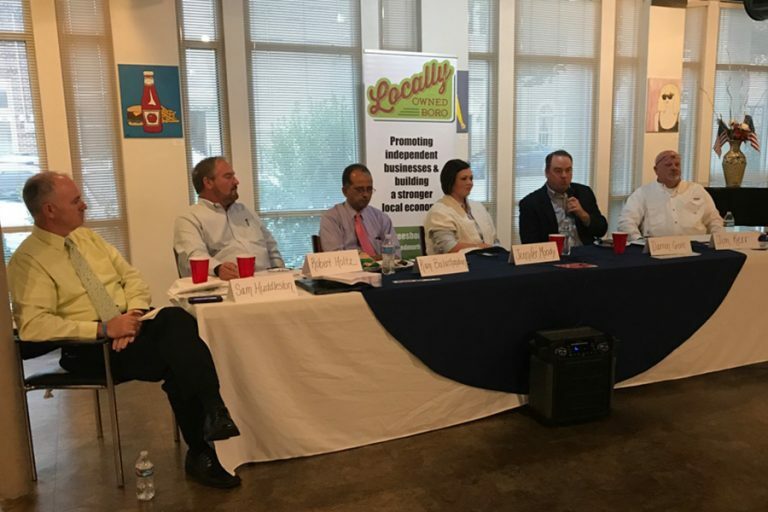 We envisioned this night as a way to spotlight independent businesses, the backbone of our communities,” said Gretchen Bilbro, president of Locally Owned Murfreesboro. 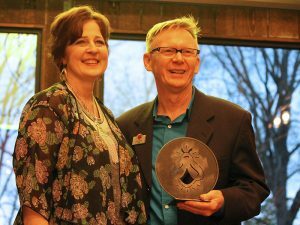 Susan Gulley and Ron Alley accept the Business of the Year are for Smyrna at the inaugural Light Up Local Firefly Awards on Tuesday, April 24 at The Grove in Murfreesboro. 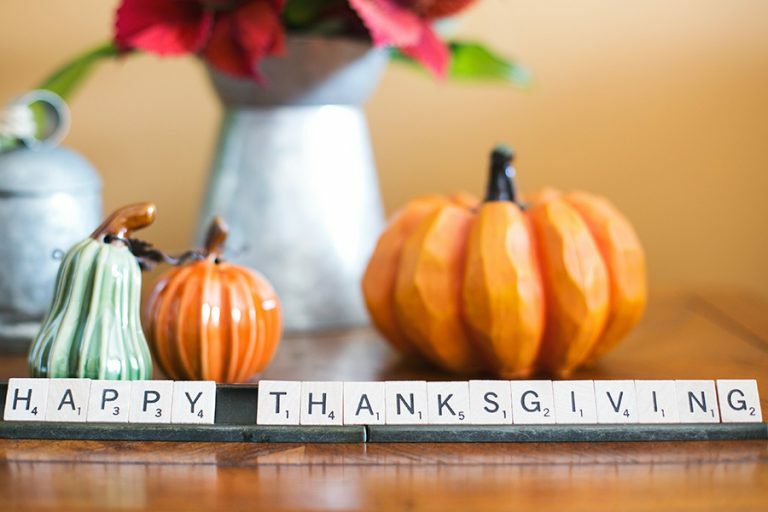 Food was provided by Simply Pure Sweets, The Alley on Main, Tasty Table, Jo’s Custom Cakes and Catering Inc., Carpe Cafe and CoreLife. Drinks were provided by Auntie Anne’s Smyrna, Mayday Brewery, Short Mountain Moonshine and Concoctions Bartending. Floral arrangements were provided by Veda’s Flowers & Gifts and The Flower Pot. Music will be provided by DJ Big Bad Boogi. Light Up Local is sponsored by Dempsey, Dilling and Associates, Clipper Magazine, WGNS Radio, DJ Big Bad Boogi, Lube Pro, Cultivate Coworking, Contract Management Services, CreativeBoro, Hagan Law Group, VIP Murfreesboro, Weddings and Events by Raina and Pale Hearts Photography. The Grove at Williamson Place is situated off Medical Center Parkway at 3250 Wilkinson Pike in Murfreesboro.